A number of life things have finally sorted , or are in the advanced stages of sorting themselves out. I have a bit more direction and confidence thanks to this. 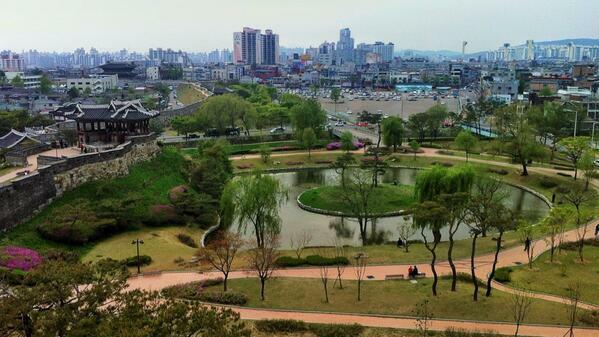 It’s spring in Suwon and Yeongtong, and once we get those eternalz tourists out of the way (also known as cherry blossoms) the city is riot of green and all sorts of other colours as flowers are sprouting everywhere. It’s truly gorgeous and my favourite time of year. I lost some weight in Thailand and have managed to keep it off, to a certain extent. I’ll be reading a poem at a PEN Korea event in Jukjeon, which is just down the road from us. This is happening on the 26th, and I’ll pop a notice up here so if you’re in the area you can drop by. I’ve been reading (and finishing) a lot more books lately. It has been quite rewarding as I was frustrated by this. Most recently I read The Great Gatsby again, as I last read it in secondary school as part of our first or second year course reading. If you had to do this, I’d suggest rereading it now as you will discover a real gem of a book that was, in this man’s case, wasted on the energies of a fourteen year old. Since Thailand I’ve been developing my understanding of my camera and its functions, and while I’d say I’m no expert and far from it, I am enjoying the learning curve and its fruits. If you’re keen to learn about how to use your camera I’ve a friend who is staring some photography workshops in Seoul if you want to look him up. I think that, the more and more I look back, our two months in Thailand was such a good decision, not only because of the weather but also, and more importantly, we got to spend so much time together as a family and learned so much about each other. I’ve been having some luck submitting some stories and poems to magazines of late, and it’s a gentle reminder that I should keep working away. I’m considering putting a chap book together of Korea related poems, but I consider a lot, so maybe I should say nothing until it actually happens. I got my writing class to write some poems for me, as part of a lesson on working on narrative, descriptive language, and dramatic effect, and they were all really good. The amount of good quality imported beer going at decent prices in the bigger supermarkets is increasing steadily. And, the local Lotte had a wine sale of late. 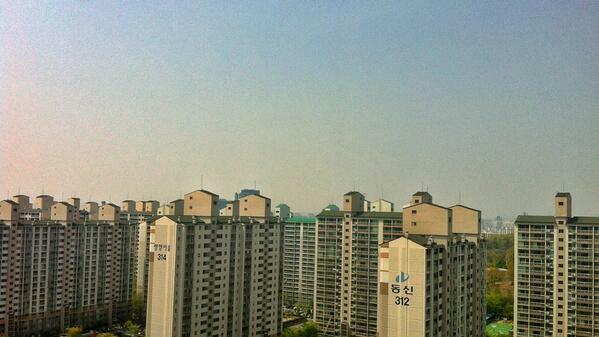 Today the sky is clear and blue and I can see right across Suwon from my twentieth floor perch here. Last week I met up with three really good old friends from when I first arrived in Korea. I hadn’t seen them for a variety of reasons, namely me being useless, but since seeing them I’ve been reminded of the importance of people close to me staying constant in my life. A second thing about Facebook, when I initially cancelled my account a few years back I did so in half a fit of nerves and rage, but since I’ve returned I’ve approached it with a different attitude. I see it as a way to actually keep in touch people I know from throughout my life who are from over 30 different countries, and who are also living in 30 different countries. Yes Facebook will lead to the decline of civilisation but at least we’ll know how others are getting along while it’s happening. Something really amazing is going to happen in July, but it’s a secret. I have an amazing wife who loves and supports me in everything I do, and we are completely committed to each other, our eternal present, and our futures. And for this I more grateful than anything. I say all this in light of the tragedy of the Sewol ferry sinking just off the south coast of Korea. I can’t even bare to look at the news because of it. These twenty postive waves are an attempt shine a light on the importance of everything in life, regardless of how trivial it may seem. Be grateful for yourself as we never know how or when it may be taken away from us.